If you need to arrange a simple and affordable cremation, we have put together this guide to help you. In fact, you can arrange a simple, basic cremation for just $995! The average cost of a traditional funeral in Daphne is $6,930*, and this does not include cemetery costs, so it is understandable that many families today are looking to more affordable alternatives. Cremation is now becoming the preferred, more affordable option to conduct a dignified, yet simple funeral service at a fraction of the full cost of a traditional funeral. How much does a cremation cost in Daphne? The cost of a cremation can vary considerably. This will depend upon the type of cremation service you opt for and the cremation services provider you select. The average cost of a cremation memorial service is $3,817, depending upon the length of service held and what kind of casket you purchase or rent. Although a direct cremation package can be conducted for just $995 with DFS Memorials. If you are working to a budget for your funeral expenses, you may wish to consider a direct cremation. A direct cremation is the cheapest cremation option. The funeral services provider does everything to take care of the immediate disposition of the deceased but no viewing or services are held. The deceased is cremated in a simple cremation container and then the cremated remains are made available for the family or collect (or if requested delivered/mailed). A direct cremation can be arranged online or by phone without any need for you to visit a funeral home. For your best price on a direct cremation contact your DFS Memorials provider in Daphne on (251) 206-5572 who offers a complete direct cremation package for just $995. When comparing costs and services, check what IS included, especially with a budget direct cremation package. Is a copy of the death certificate included? Is the cremation permit an additional cash advance item or included? What about if an out-of-hours collection is required? Is there an additional daily refrigeration charge if the cremation does not proceed after in a given time-frame? Death certificates cost $15.00 for the first certificate and $6 for each additional death certificate required. You should also note that the county coroner may charge a fee if they are required to sign the death certificate. What legally do I need to know about arranging a cremation in Daphne? In Alabama there is a mandatory 24-hour wait period after death before the cremation can proceed. Before a cremation can go ahead the doctor must sign and fill out the cause of death, and the county health department must issue a permit to cremate. The deceased will be refrigerated during this period, and longer if required, however you should be aware that many cremation packages will only include refrigeration for up to 5 days and will charge you a daily rate thereon. Death certificates and permits are considered ‘cash advance’ items and not generally included in a quoted cremation price. The funeral director will generally obtain the death certificates on your behalf. Yes you can prearrange a cremation. Advance planning can help to ensure you get the most appropriate services provider for your needs, and can save surviving family the financial and emotional burden at the time of death. There are various options open to you to plan ahead so consult with your preferred services provider. A pre-arranged direct cremation plan can be preplanned at a low cost to ensure your family do not have the burden about worrying about funeral costs. 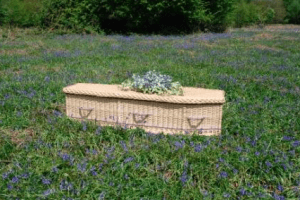 T he deceased had no life insurance – is there any help with cremation costs? Sadly there is little financial aid that supports those families that find themselves struggling with funeral costs. Most counties do have a budget for indigent funerals but this is generally for those individuals who truly are indigent. Some counties do have limited funds to help low-income families with cremation costs but this can vary county by county. You would need to make inquiries with Baldwin County Human Services Department at 22259 Palmer Street, Robertsdale, AL 36567 to find out if any assistance is available to you. In these cases often the most basic of funeral services will be supported, with limited control over what happens. A low cost direct cremation from DFS Memorials can be arranged for $995. Some funeral homes now offer this option in Daphne. This is referring to whole body donation whereby after the donation is complete the remains are cremated (free of charge) and then returned to the family or scattered. Generally funeral homes can get a referral fee from the whole body donation organization, plus they sometimes charge a transportation fee. So all-in-all they do still recoup their costs. As we all know, there really is nothing that is truly free! What happens if the deceased is taken to the Coroner’s Office? If there were circumstances surrounding the death that led to the deceased being taken to the County Coroner’s office, you will need to employ the services of a funeral director as soon as possible to liaise with the Coroner to have the body released into their care. Only a licensed funeral director can collect a body from the Coroner’s morgue. Hopefully this short guide to arranging an affordable cremation service in Daphne has answered some of your questions, and helped you understand how to save costs on a cremation. If you would like to read more extensively about cremation planning, please visit the library section on US Funerals Online. This entry was posted in Cheap Cremation, Cremation Providers, Finding a crematory or cremation provider, Funeral Planning, How to Save Money on Funerals, Medical Examiner and tagged affordable funeral, basic cremation, cheapest cremation, cremation costs, cremation plan, direct cremation, funerals costs, help with cremation by Nicole Pelling. Bookmark the permalink.